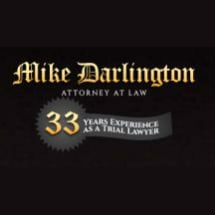 Prior to moving to Shasta County 13 years ago Mike Darlington was the senior partner and principal trial attorney for the Los Angeles area Law Firm of Darlington and Cabrera. As such he had personally handled over 3000 divorce/custody/support cases. Remarkably, Mr. Darlington's experience is not limited to the adversarial side of the bench as he has for over 10 years sat as Judge Pro Tem in the Family Law Courts of San Bernardino County when called to do and is well versed on how full time Judges view cases and what makes a case winnable from that perspective in addition to the point of view of a practicing attorney. In addition to Mr. Darlington's wealth of legal background, he successfully represents his clients by drawing from his background, having spent over 15 years in the mortgage, finance and banking industry bringing to the practice of law an understanding of financial principles held by few members of the bar and enabling him to comprehend the intricacies of complex property and liabilities issues prevalent in most divorce cases. Mr. Darlington is a former U.S. Marine that served in Vietnam in 1966 and 1967. After being discharged he then pursued a career in finance and banking with Transamerica Financial Corporation and Crocker Bank. He holds a Bachelor's Degree in Law as well as the Juris Doctorate Degree he earned from Western States University. He has been a member of the State Bar of California since 1983.